While it’s pretty hard to find some worthwhile free games for Mac, it doesn’t mean that there is no free game for Mac. It just means the number is very low. However, the case of Free RPGs is different. 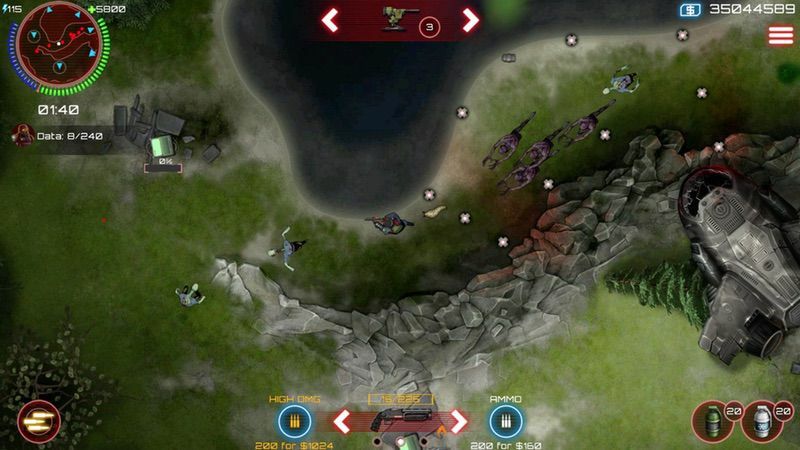 Just like we did in the Strategy Games for Mac, most of the titles are available via Steam. 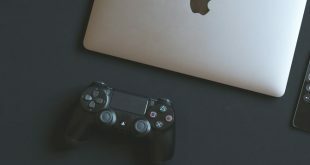 If you have Steam installed on your Mac, it will be easy to download and play these games. That said, here are some of the best role playing games for Mac. Let’s begin. 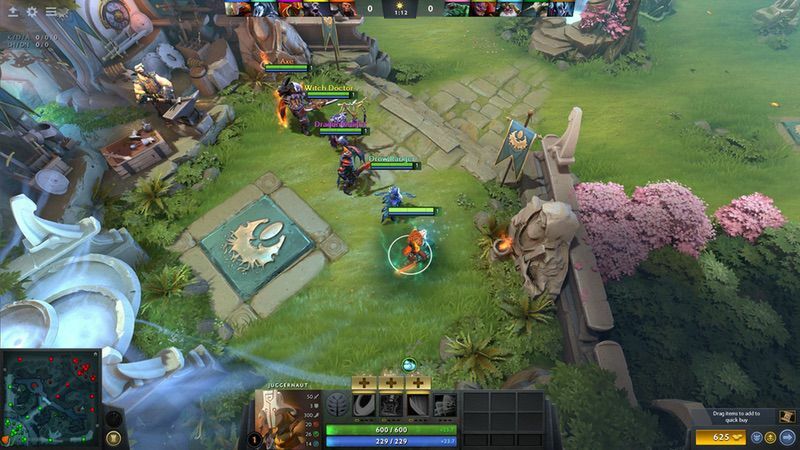 One of the most-played game on Steam, Dota 2 is one of the best RPG titles for Mac. The game never keeps you bored, since there’s a lot to discover. You can become one of the Dota 2 heroes and keep exploring the world while combating with others. It’s a skill-based game, since there are no in-app purchases for talent or extra perks. You can choose the role and start playing. You are going to love the enhanced graphics and the big user-base that Dota 2 boasts. 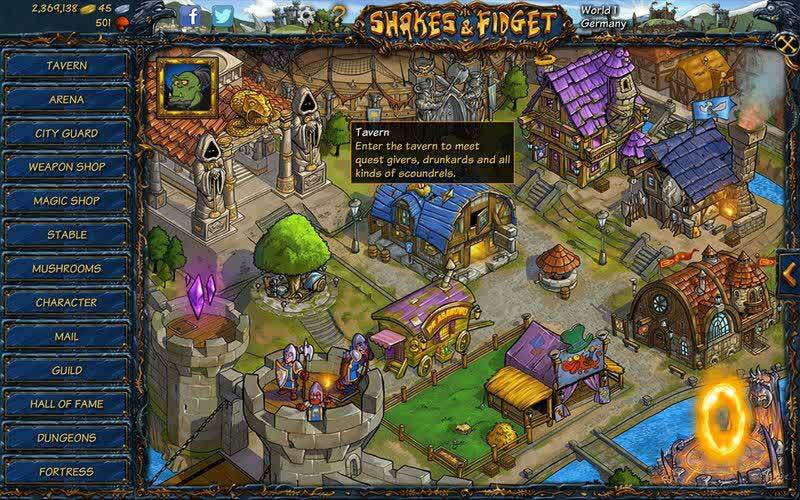 If you are looking for a fun-filled, fantasy RPG, Shakes and Fidget should be your first stop. 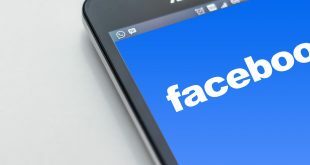 With a user-base of more than 50 Million, you will love its online battles too. Even when we keep the humor aside, the game offers a bunch of options like customizable characters, thousands of collectibles and hundreds of quests you can achieve. The game gives you a feel of being inside a comic book, which is great for role-playing. The title is comparatively newer, too. 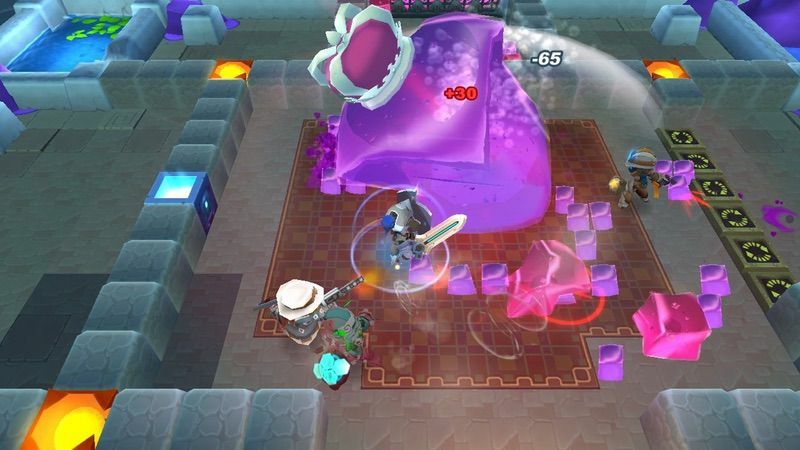 It’s been just four months since Tactical Monsters Rumble Arena was released. In the meantime, this game has become a superb choice of players across the globe. In this RPG, you have to use your strategy as well as tactical combat. Thanks to multiple playing modes, you can get your hands on real-time battles as well as normal missions. You have almost full control over monsters, who happen to have unique skills to. You are the winner if you know how to deal with them. 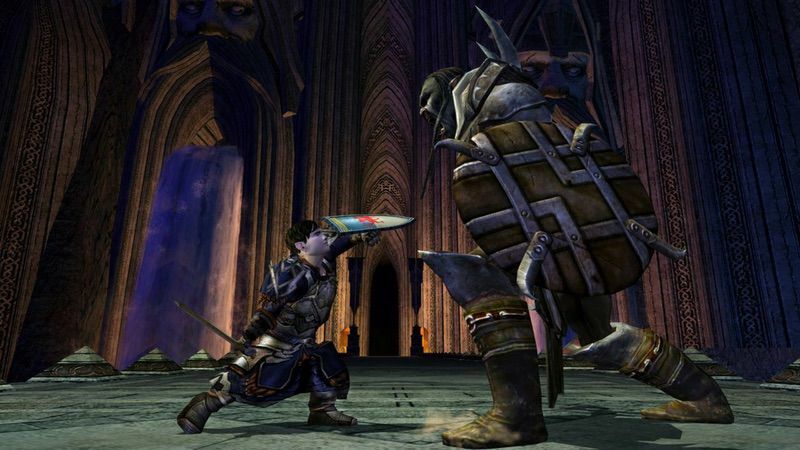 The Lord of the Rings Online is one of the most popular MMORPGs for Mac, since thousands of players play this wonderful title. The game is awesome if you know anything about the popular series by JRR Tolkien. You can explore the Middle Earth and craft the perfect hero the land deserves. There are more than 105 ways to customize your hero, which is great. It also offers options like PvP battles and online arenas. It’s all about fun, and you get one visual treat too. Spiral Knights calls itself a co-operative adventure, for a good reason. You have to team up with the knights who are stranded in an alien planet. The plot progresses as you explore this amazing planet and what stays under the seen surface. While the character customization isn’t the best, your Knight gets to compete with others in this game. Of course, the core of Spiral Knights is in multiplayer combat, and you should not miss that. 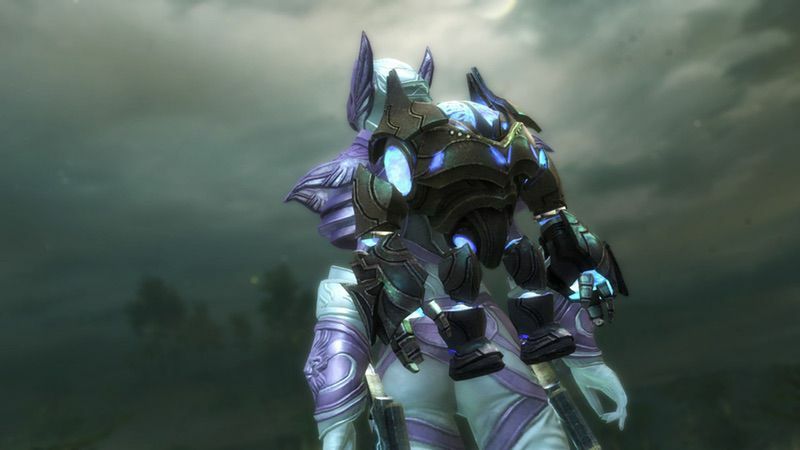 GuildWars 2 is another massive multiplayer online RPG for Mac devices out there. It’s definitely more than a simple multiplayer game, thanks to the wonderful community it has got. Released back in 2012, GuildWars 2 has been the favorite of those who need a real-life role-playing gaming experience. There are various races in the game, and you — if you are a beginner — surely need some catching up. It offers multiple modes such as the PvP one. System Requirements: Intel Core i5 or better, 4GB RAM, 50GB Storage space, GeForce 320MATI, Radeon HD 6630M, Intel HD 3000 or better. Trove is an open-world, action-based role-playing game that you can play on Mac. It lets you explore a world that isn’t restricted to earth. As the hero character, Trove wants you to rescue the multiverse from threats as well. There are different classes like Knights, Pirates and a lot of realms you can explore. 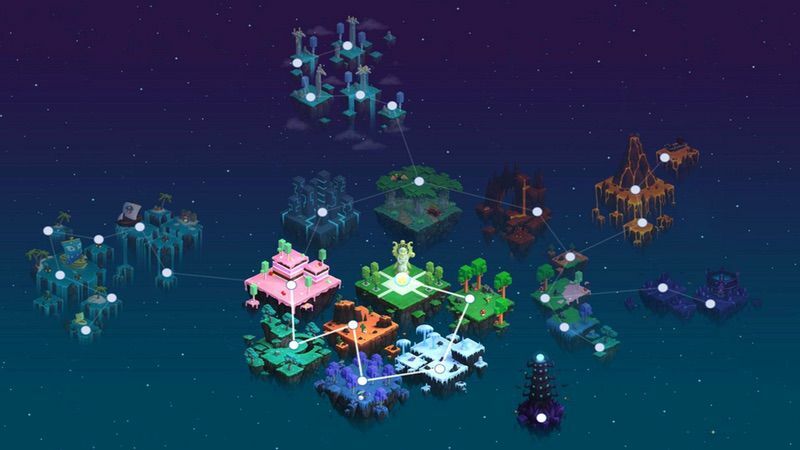 Trove also comes with a bunch of world-building and strategy-based elements. You can take care of loots, build more stuff and get rich on the way. 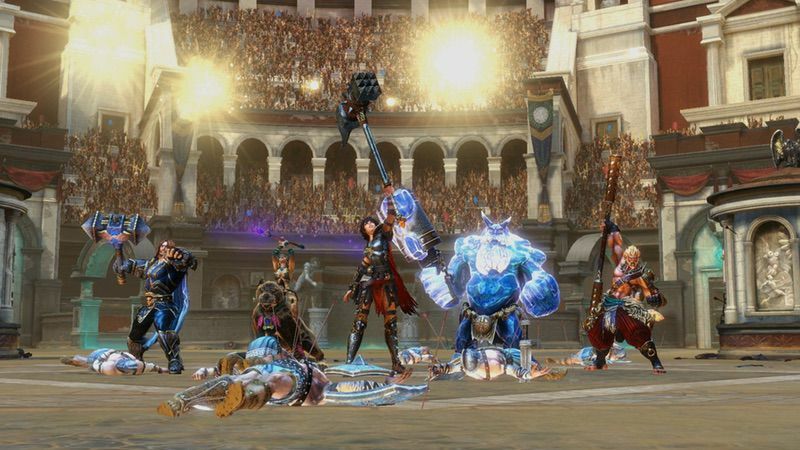 With more than 25 Million players on the board, SMITE brings an awesome combination of role-playing and action. If you know the ancient mythology — Thor from Norse, for instance —, you will love the storyline of this title. You can choose one of the mythological characters as well as their skills. The game is fast-paced, in addition to the collectible and open-combat arena. You can get into the battleground and win if you want to move on. SMITE gets regularly updated too. Released in 2017, SAS: Zombie Assault 4 is one of the high-end action RPGs for Mac. When a virus outbreak has turned almost every human into zombies, you can take up the role of the savior and fight them. The title offers three roles you can play. Of course, SAS: Zombie Assault 4 is more about the action and combat, but its RPG-like upgrades and features are unbeatable. Fast-paced gameplay and collectibles and loot support and some reasons why people love this RPG. Here’s a different title from the role-playing game category. In this game, you take up the role of a detective. Wait, you are not going to solve any murders. On the other hand, the detective has to talk to some people and tell if they are homosexual. The title comes with the retro outlook and some cool dialogues with others as well as the lady who hired you. 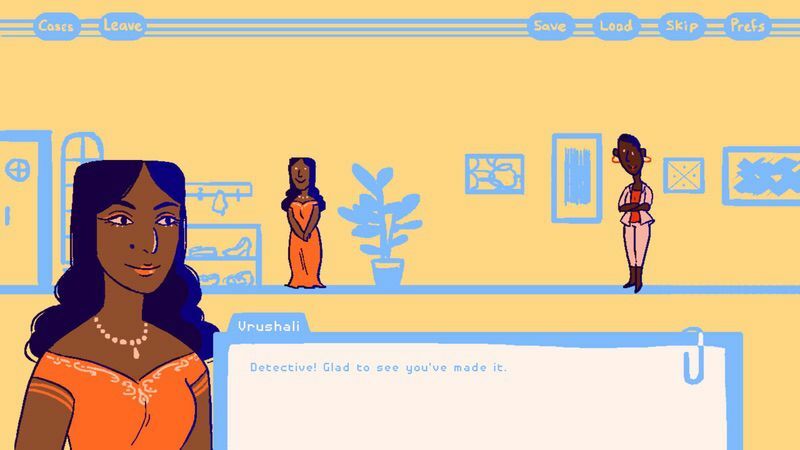 Gaytective is all about interaction and dialogues, but it’s small game. You should check this if you’re looking for pure fun. 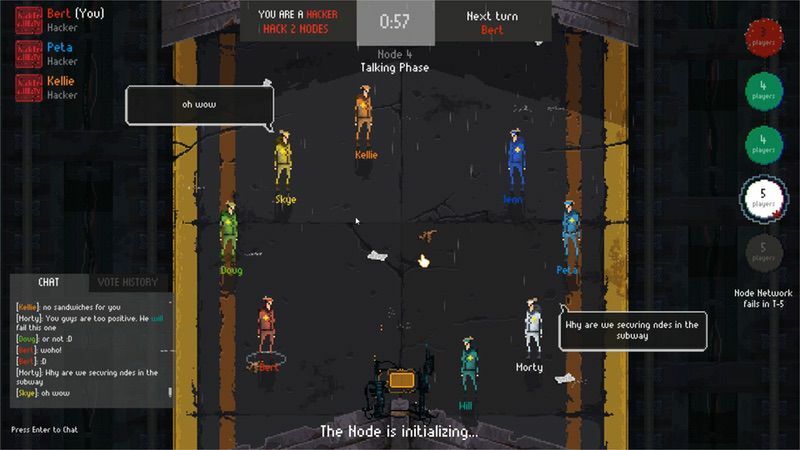 Just to clarify, we are talking about Pixel Dungeon for Desktop, which is available for Windows, macOS and Linux. You can enjoy the same awesome gameplay that you used to get in Android. 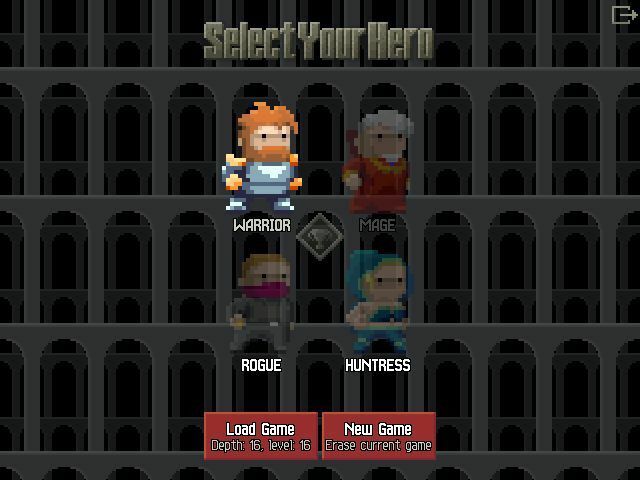 One of the best RPGs for Android, Pixel Dungeon is noted for the pixel-art and simple interface. You can choose a character, who will be exploring the dungeon and killing all the bad stuff on the way. There are also some collectibles you get in the long run. At the first look, Realm of the Mad God is a simple pixel-art-based game. However, it has some of the coolest gameplays. In case you did not know, it’s one of the MMORPGs as well. You can focus on action and battle, but there are always some RPG elements in the game. The game also features some options like looting and team-up battles. But, what really matters is whether your character is powerful enough to take up all those challenges. RuneScape is a free-to-play, fantasy-based MMORPG available for Mac and other platforms. Once you have downloaded the client and have created an account, the adventure starts. It also happens to be the most popular free MMORPG. RuneScape also comes with a huge-enough community, where thousands are online. 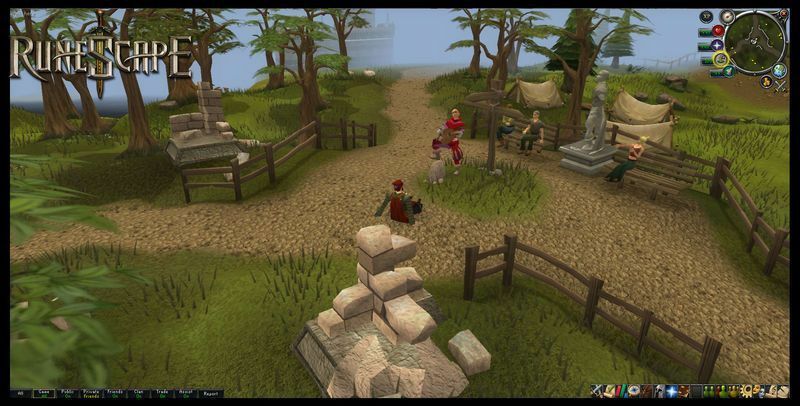 Unlike many of the RPGs we listed, RuneScape is pretty huge and there is a lot to explore. It starts at island of Ashdale and explores further. 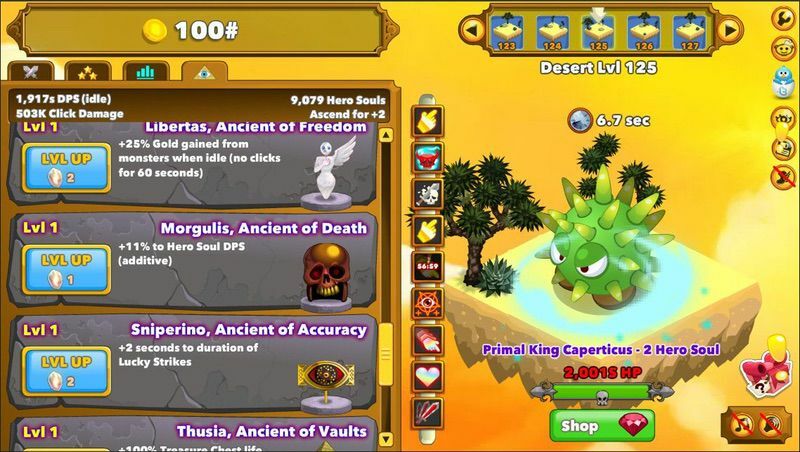 Clicker Heroes is an impressive casual clicker game with some great RPG elements in it. All you do is clicking with your mouse, but there are different characters and enemies to choose from. Clicker Heroes also comes with some great strategy stuff and a visually-pleasing design. You can also keep hiring different heroes who have better skills to offer. 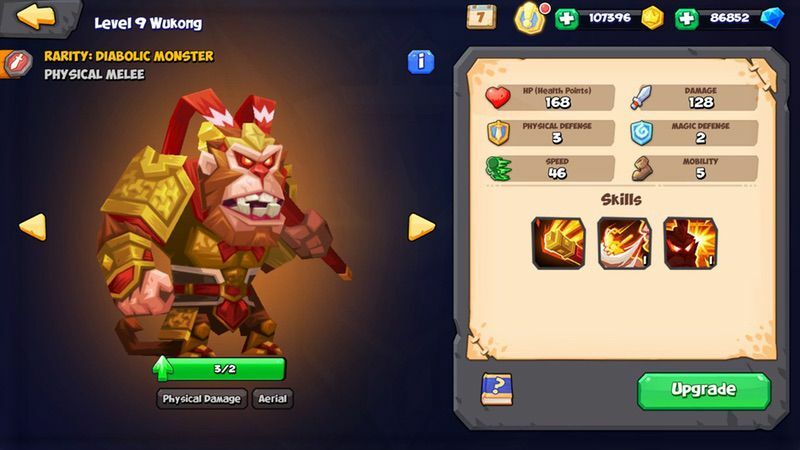 Altogether, although not completely an RPG, Clicker Heroes is one of the superb choices for Mac. 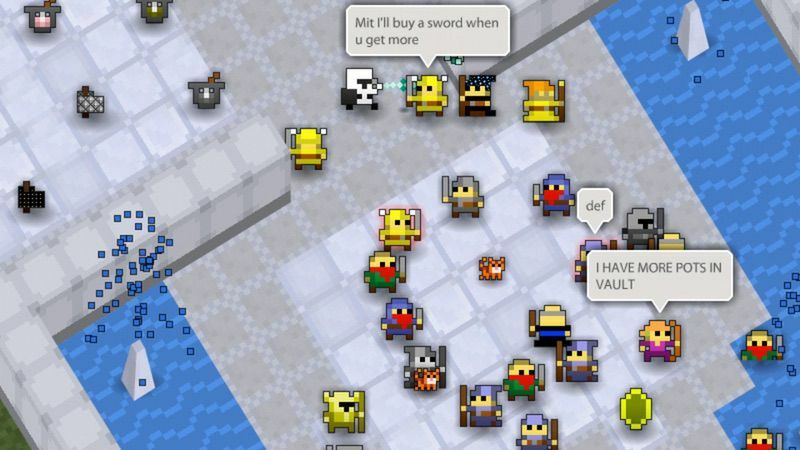 With this popular online multiplayer, we end our list of the best free RPG games for Mac. 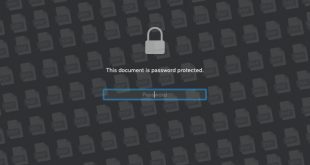 MINDNIGHT works by assigning you a random role — either a Hacker or Agents. The idea is to defeat the other so that you can succeed. The best part about MINDNIGHT is that it offers a lot of things like communication systems and hi-tech stuff. Please note that MINDNIGHT is set in distant future, where your cyberpunk dreams come true. It is a highly-addictive title too. Most of the above mentioned RPGs offer online PvP mode, which is great. Also, some of them are a combo of RPG, Strategy and action gaming so that you don’t get bored. We have also tried to include games that are completely free, instead of those with thousands of in-app purchases. Still, if you think we missed some great free RPG, do let us know via comments.